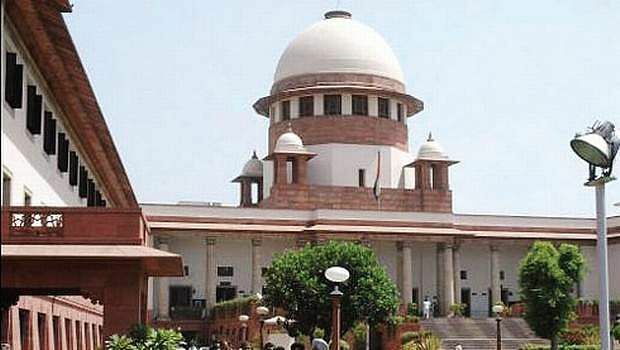 New Delhi, Nov 3: The Supreme Court on Friday asked banks and mobile phone service providers to tell their customers the last date for linking of accounts and mobile numbers with Aadhaar. A bench of Justice A.K. Sikri and Justice Ashok Bhushan said the court had been told that banks and service providers were bombarding mobile users and account holders with messages without mentioning the deadline for the linkage. The court said that banks and service providers will mention the last date for linking of accounts and mobile numbers with Aadhaar in their messages as it issued notice to the Centre on two petitions, by Kalyani Menon Sen and Mathews Thomas challenging the validity of Aadhaar law. "I am also receiving messages. Let that date be given," Justice Sikri observed as Attorney General K.K. Venugopal told the court that there was need for passing an order as the government has itself extended the deadline for linking Aadhaar with bank accounts and mobile numbers. Issuing notice to the Centre, the court tagged the two petitions with the main petition by the former Karnataka High Court Judge K.S. Puttaswamy, others by first Chairperson of National Commission for Protection of Child Rights and Magsaysay awardee Shanta Sinha, CPI leader Binoy Viswam and others challenging the validity of Aadhaar on the grounds of being violative of right to privacy and on other counts. Refusing to pass any order as the hearing by the constitution bench in these matters would commence in the third week of November, the court however granted liberty to press for stay if hearing does not take place as ordered or continues beyond December 31. "Government is working on putting in place a law on data protection," the Attorney General told the bench, adding that the Committee headed by Justice B.N. Srikrishna that has been asked to frame a draft bill for data protection is likely to submit its report by March end. AG said this as senior counsel Shyam Divan appearing for petitioners challenging the validity of Aadhaar law said that Aadhaar was being used by certain elements to intrude into the bank accounts of people and withdraw money. He questioned why messages were being sent to the people when there was deadline. He also questioned why messages were not mentioning the last date of compliance. Only those who are aware of the deadline will ignore such messages but others will fall in line. Another senior counsel Arvind Datar told the court that banks were insisting on linking Aadhaar with the bank accounts on the strength of a provision introduced by the Prevention of Money Laundering Act. Wondering how can linking of bank accounts with Aadhaar be made mandatory under the Prevention of Money Laundering Act and complying with it an offence under the money laundering law, Datar said one can understand if such a thing was said by the Reserve Bank of India under its regulations. Datar said accounts which were 30 to 40 years old were being declared dormant on account of non-linking with Aadhaar.